If your Bike or Vehicle doesn't have a speedometer GPS Or odometer? Just mount the phone safely on your Vehicle and just go on. 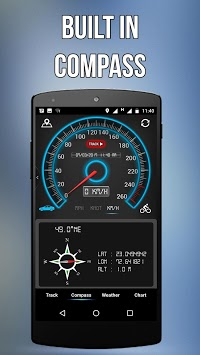 - Speedometer GPS option for Car and Bicycle option. - Average Speed, Time Duration, Altitude and Maximum Speed. 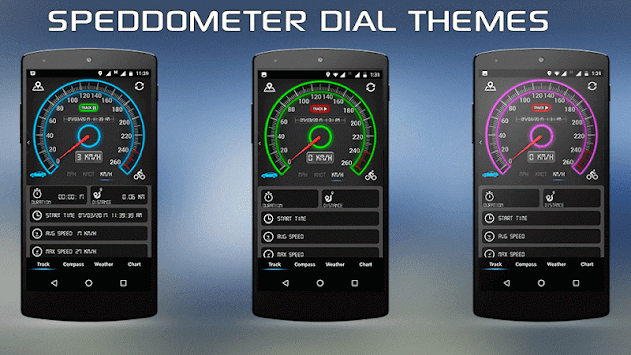 - Different Speedometer Dials to choose. 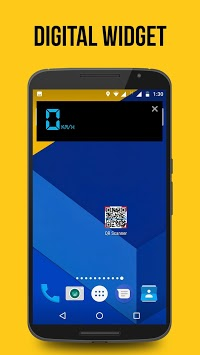 - Weather information with Visibility, Wind Speed and Direction. - TRACK ON/OFF Button in middle of Dial. - Digital Speedometer with Large Digits. - Mirrored Mode: Just tap on screen and screen will be mirrored. - Change your favorite color for HUD. - Full Screen option with landscape Mode. - Get your traveled path. - Average speed, maximum speed. - Save journey in History and check it anytime. all readings of GPS Speedometer are as precise as possible they are only as accurate as your device's GPS sensor and it should only be taken as approximations.